Shake Rattle & Roll Dueling Pianos - Video of the Week - 500 Miles! Shake Rattle & Roll Dueling Pianos - Video of the Week - Oh What A Night!!! Shake Rattle & Roll Dueling Pianos - Video of the Week - Piano Man! Shake Rattle & Roll Dueling Pianos - Video of the Week - Bottomless Brunch!!! Shake Rattle & Roll Dueling Pianos - Video of the Week - Hey Jude! 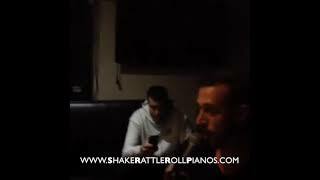 Shake Rattle & Roll Dueling Pianos - Video of the Week - Cmon Eileen! Shake Rattle & Roll Dueling Pianos - Video of the Week - Blue 42! Shake Rattle & Roll Dueling Pianos - Video of the Week - berkshire hathaway! Shake Rattle & Roll Dueling Pianos - Video of the Week - Billie Jean! 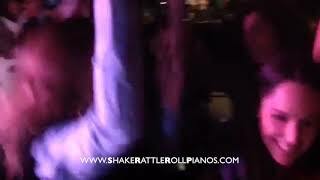 Shake Rattle & Roll Dueling Pianos - Video of the Week - Play That Funky Music!!! Shake Rattle & Roll Dueling Pianos - Video of the Week - Uptown Funk! 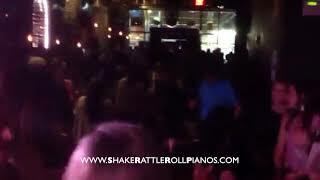 Shake Rattle & Roll Dueling Pianos - Video of the Week - Morgan Stanley Holiday Party! Shake Rattle & Roll Dueling Pianos - Video of the Week - Rail at Readington! Shake Rattle & Roll Dueling Pianos - Video of the Week - BIGGEST CROWD EVER!!! Shake Rattle & Roll Dueling Pianos - Video of the Week - 24k Magic! 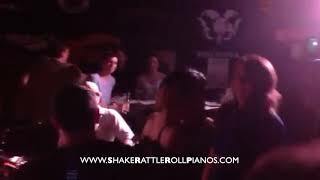 Shake Rattle & Roll Dueling Pianos - Video of the Week - Dance Battle! Shake Rattle & Roll Dueling Pianos - Video of the Week - Great Balls of Fire!!! 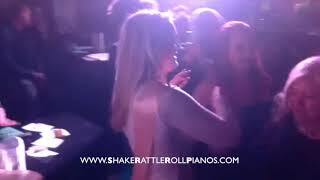 Shake Rattle & Roll Dueling Pianos - Video of the Week - Wedding! Shake Rattle & Roll Dueling Pianos - Video of the Week - NY Elks! 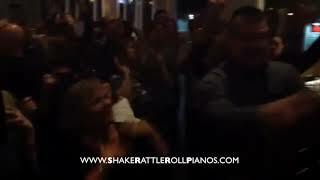 Shake Rattle & Roll Dueling Pianos - Video of the Week - 8 year anniversary!!! Shake Rattle & Roll Dueling Pianos - Video of the Week - Country Roads! Shake Rattle & Roll Dueling Pianos - Video of the Week - Semi Charmed Life! 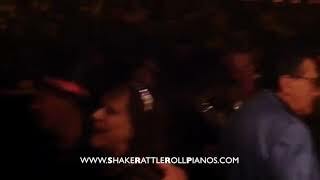 Shake Rattle & Roll Dueling Pianos - Video of the Week - RESPECT! Shake Rattle & Roll Dueling Pianos - Video of the Week - Shut Up and Dance! Shake Rattle & Roll Dueling Pianos - Video of the Week - Oh What A Night! Shake Rattle & Roll Dueling Pianos - Video of the Week - Livin On A Prayer! Shake Rattle & Roll Dueling Pianos - Video of the Week - Obladi Oblada! Shake Rattle & Roll Dueling Pianos - Video of the Week - DATE & DUEL! Shake Rattle & Roll Dueling Pianos - Video of the Week - Club Getaway! 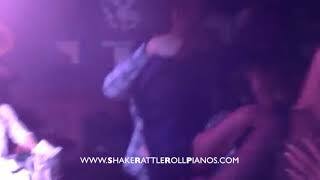 Shake Rattle & Roll Dueling Pianos - Video of the Week - Slow Dance! 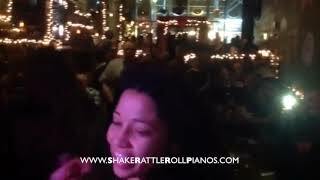 Shake Rattle & Roll Dueling Pianos - Video of the Week - Marriage Proposal!!! 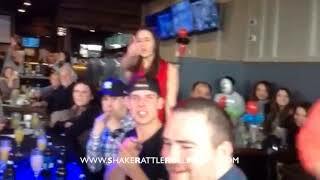 Shake Rattle & Roll Dueling Pianos - Video of the Week - Mike's Bachelor Party! Shake Rattle & Roll Dueling Pianos - Video of the Week - Sweet 16! Shake Rattle & Roll Dueling Pianos - Video of the Week - Your Love! Shake Rattle & Roll Dueling Pianos Video of the Week - Head Bangin'! shake rattle & Roll dueling Pianos - Video of the Week -don't stop believin! Shake Rattle & Roll Dueling Pianos - Video of the Week - St. Patrick's Day 2018! Shake Rattle & Roll Dueling Pianos Video of the Week - Old Time Rock n Roll! Shake Rattle & Roll Dueling Pianos Video of the Week - Livin on a Prayer! Shake Rattle & Roll Dueling Pianos Video of the Week - Can't Stop the Feelin'! Shake Rattle & Roll Dueling Pianos - New Year's Eve 2018!!! Shake Rattle & Roll Dueling Pianos Video of the Week - Semi Charmed Life! Shake Rattle & Roll Dueling Pianos Video of the Week - Bachelor Party! Shake Rattle & Roll Dueling Pianos Video of the Week - OH WHAT A NIGHT! Shake Rattle & Roll Dueling Pianos Video of the Week - Halloween 2017! Shake Rattle & Roll Dueling Pianos Video of the Week - New York, NY! Shake Rattle & Roll Dueling Pianos Video of the Week - SHUT UP & DANCE! Shake Rattle & Roll Dueling Pianos Video of the Week - Don't Stop Believin! Shake Rattle & Roll Dueling Pianos Video of the Week - Club Getaway! Shake Rattle & Roll Dueling Pianos Video of the Week - THIS IS HOW WE DO IT! Shake Rattle & Roll Dueling Pianos Video of the Week - Long Island!!! Shake RATTLE & ROLL Dueling Pianos Video of the Week - Chippendale Dance Off! Shake Rattle & Roll Dueling Pianos Video of the Week - Arno OPENING NIGHT! Shake Rattle & Roll Dueling Pianos Video of the Week - 500 Miles! 5/27/17 Dueling Pianos Video of the Week - FLEET WEEK! Shake Rattle & Roll Dueling Pianos Video of the Week - Italian Restaurant! 4/7/17 Shake Rattle & Roll Dueling Pianos - Video of the Week! 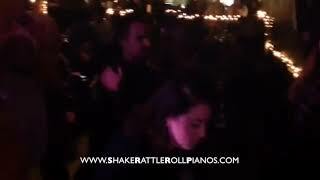 Shake Rattle & Roll Dueling Pianos Video of the Week - Cupid Shuffle! Shake Rattle & Roll Dueling Pianos Video of the Week - Marlboro NJ! Shake Rattle & Roll Dueling Pianos Video of the Week -DO YOU LOVE ME!? Shake Rattle & Roll Dueling Pianos Video of the Week - AMERICAN PIE! 1/7/17 Shake Rattle & Roll Dueling Pianos Video of the Week! Shake Rattle & Roll NYE 2017! Shake Rattle & Roll Dueling Pianos Video of the Week - PACKED HOUSE! 11/5/16 Shake Rattle & Roll Dueling Pianos Video of the Week - Wedding! Shake Rattle & Roll Dueling Pianos Video of the Week 1/9/16!!! 12/20/15 Shake Rattle & Roll Dueling Pianos Video of the Week! 6/7/15 - Shake Rattle & Roll Dueling Pianos - Video of the Week! 5/31/15 - Shake Rattle & Roll Dueling Pianos - Video of the Week! 5/24/15 - Shake Rattle & Roll Dueling Pianos - Video of the Week! 5/17/15 - Shake Rattle & Roll Dueling Pianos - Video of the Week! 5/10/15 - Shake Rattle & Roll Dueling Pianos - Video of the Week! 5/3/15 - Shake Rattle & Roll Dueling Pianos - Video of the Week! 4/26/15 - Shake Rattle & Roll Dueling Pianos - Video of the Week! 4/19/15 - Shake Rattle & Roll Dueling Pianos - Video of the Week! 4/12/15 - Shake Rattle & Roll Dueling Pianos - Video of the Week! 3/29/15 - Shake Rattle & Roll Dueling Pianos - Video of the Week! 3/22/15 - Shake Rattle & Roll Dueling Pianos - Video of the Week! 3/15/15 - Shake Rattle & Roll Dueling Pianos - Video of the Week! 3/8/15 - Shake Rattle & Roll Dueling Pianos - Video of the Week! 3/1/15 - Shake Rattle & Roll Dueling Pianos - Video of the Week! 2/22/15 - Shake Rattle & Roll Dueling Pianos - Video of the Week! 2/14/15 - Shake Rattle & Roll Dueling Pianos - Video of the Week! 2/7/15 - Shake Rattle & Roll Dueling Pianos - Video of the Week! 1/30/15 - Shake Rattle & Roll Dueling Pianos - Video of the Week! 1/24/15 - Shake Rattle & Roll Dueling Pianos - Video of the Week! 1/10/15 - Shake Rattle & Roll Dueling Pianos - Video of the Week! 12/31/14 - Shake Rattle & Roll Dueling Pianos - Video of the Week! 12/17/14 - Shake Rattle & Roll Dueling Pianos - Video of the Week! 12/13/14 - Shake Rattle & Roll Dueling Pianos - Video of the Week! 12/6/14 - Shake Rattle & Roll Dueling Pianos - Video of the Week! 11/26/14 Shake Rattle & Roll Dueling Pianos - video of the week! 11/20/14 Shake Rattle & Roll Dueling Pianos - video of the week! 11-6-14 Shake Rattle & Roll Dueling Pianos Video of the Week! 10-25-14 video of the week! Video of the Week - 6/7/14 - Bachelorette Party!